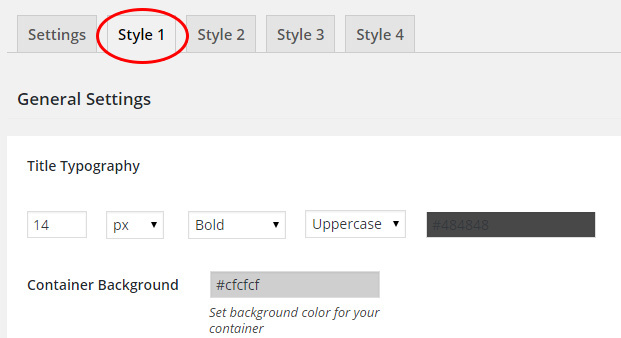 Configure the 4 layout styles you can use for the plugin widget/shortcode. Go to the option panel and click on one of the related tabs to configure a style. The style options are divided in three main sections: General Settings, Style Parent Categories and Style for Child Categories. Title Typography: options for the typography of the title. 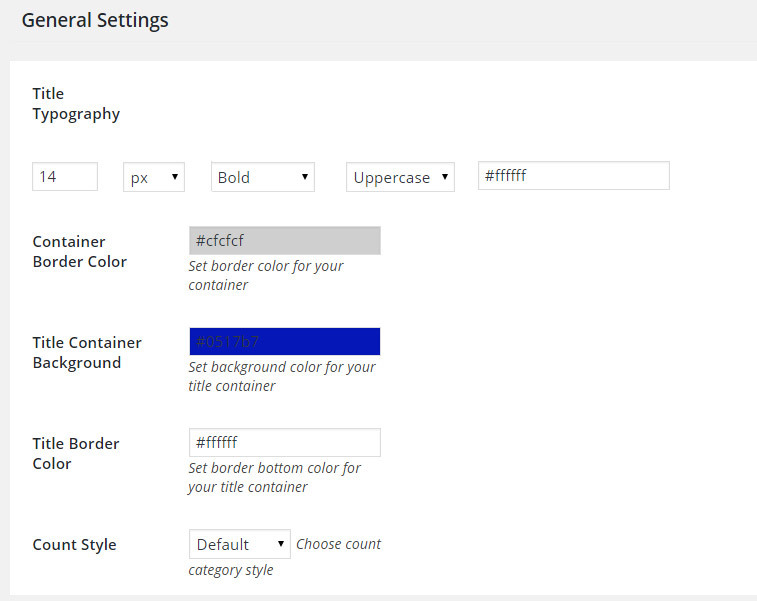 Container Border Color: border color of the widget/shortcode container. Title Container Background: background color of the box that contains the title. Title Border Color: color of the lower border of the box that contains the title. Count Style: style to assign to the value indicated for each element of the list (only if the “Show Count” option is active). Typography Parent Categories: typography options for the parent categories of the list. 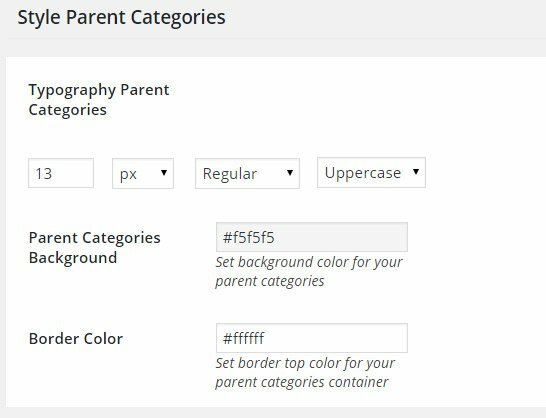 Parent Categories Background: background color of the parent categories. Border Color: color of the lower border for the parent categories of the list. Typography for Child Categories: typography options for the subcategories. 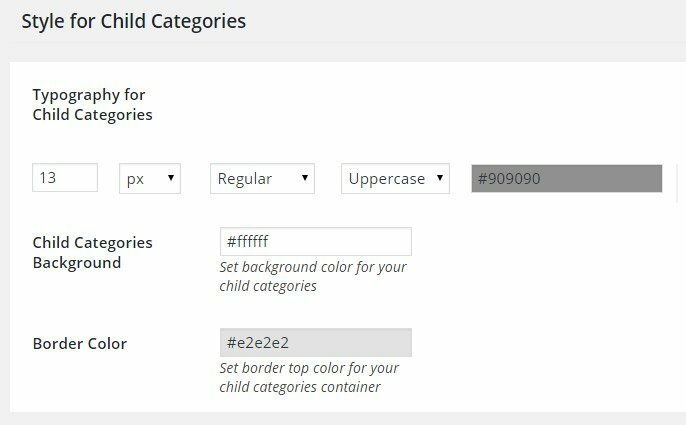 Child Categories Background: background color of the subcategories of the list. Border Color: border color for each subcategory of the list.